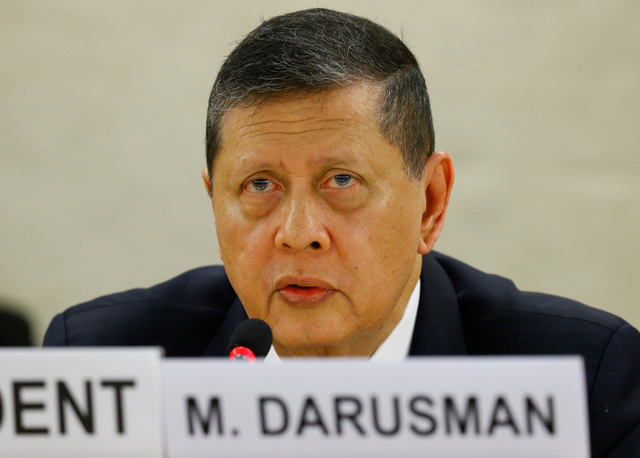 Marzuki Darusman, President of the Fact-Finding Mission on Myanmar, asked the United Nations Human Rights Council on Tuesday for more time to probe allegations of mass killings, torture, sexual violence, the use of landmines and the burning of villages. According to a Reuters report, the head of the United Nations fact-finding mission probing violence in Myanmar's Rakhine state said today he is still waiting for permission to enter the country. "We have not been able to proceed further in planning the presence of a fact-finding team on the ground until there is a clear signal from the government of Myanmar that the fact-finding mission is in fact enabled to access into the country," Marzuki Darusman told the United Nations Human Rights Council. The head of a United Nations investigation into violence in Myanmar asked the UN Human Rights Council for more time to probe allegations of mass killings, torture, sexual violence, the use of landmines and the burning of villages, reports Reuters. "We will go where the evidence leads us," the fact-finding mission's chairman Marzuki Darusman said, before requesting a six-month extension of the investigation to September 2018. Presently, Bangladesh is hosting nearly eight lakh Rohingya refugees. Bangladesh's Minister for Foreign Affairs Mohammed Shahriar Alam said that the influx is not going to have any impact on the country's economy. 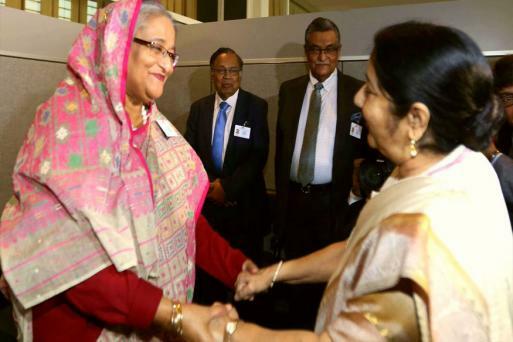 External Affairs Ministry spokesperson Raveesh Kumar said that the discussion between Sushma Swaraj and Sheikh Hasina was 'purely bilateral'. 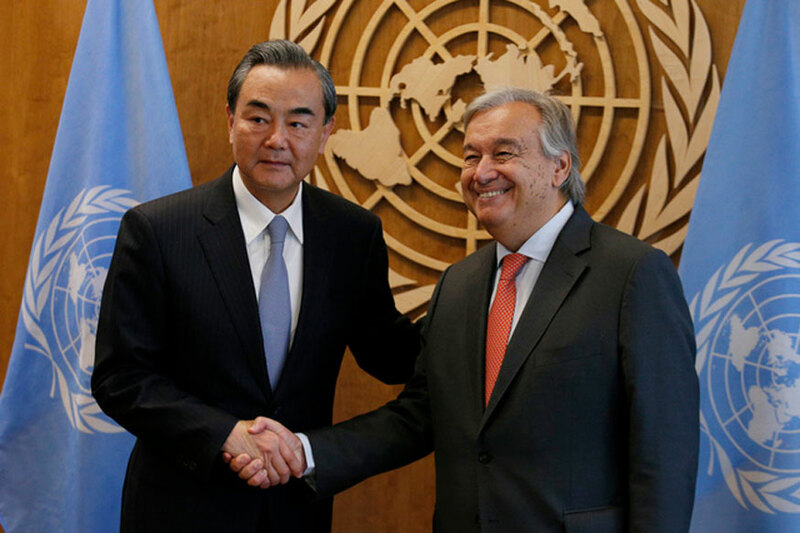 China supports efforts by the Myanmar government to protect its national security and opposes recent violent attacks in the country's Rakhine state, Chinese Foreign Minister Wang Yi told United Nations Secretary-General António Guterres, reports Reuters. Wang said, China expresses sympathy with those who have fled into Bangladesh and will send humanitarian aid to Bangladesh. "China advocates Myanmar and Bangladesh resolving the problem via dialogue and consultation," the Foreign Ministry cited Wang as saying. According to a Reuters report, Bangladesh Prime Minister Sheikh Hasina said she spoke to United States President Donald Trump on Monday about Rohingya Muslims flooding into her country from Myanmar, but she expects no help from him as he has made clear how he feels about refugees. As Donald Trump left an event he hosted at the United Nations on reforming the world body, Sheikh Hasina said she stopped him (Donald Trump) for a few minutes. She said: "He just asked how is Bangladesh? I said 'it's doing very well, but the only problem that we have is the refugees from Myanmar', but he didn't make any comment about refugees." 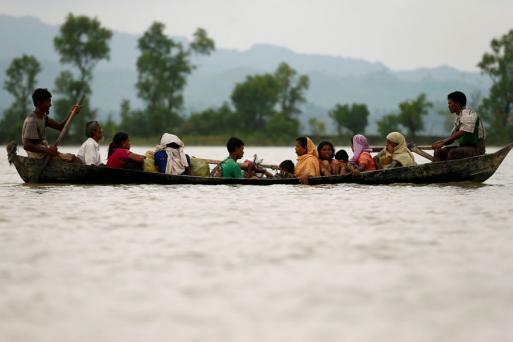 New Delhi: The Union Home Ministry on Monday submitted its affidavit in the Supreme Court on the deportation of Rohingya immigrants to Myanmar and has called them a "security threat to India". Recap: The Union Home Ministry on Monday submitted its affidavit in the Supreme Court on the deportation of Rohingya immigrants to Myanmar and has called them a “security threat to India”. 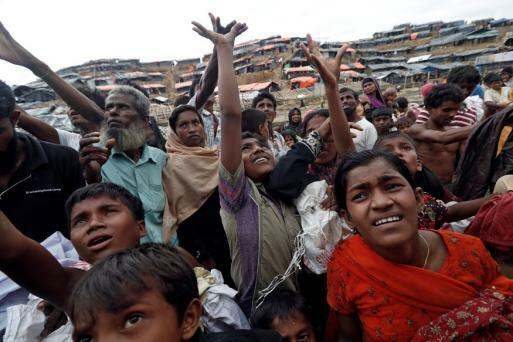 The government has also stated that as per law, it is completely “illegal” for Rohingya immigrants to stay in India and has submitted that their continuance in India would have serious national security ramifications and has “serious security threats”. Myanmar leader Aung San Suu Kyi reached out to the global community today in a broad appeal for support over a refugee crisis the UN has decried as 'ethnic cleansing', urging outsiders to help her nation unite across religious and ethnic lines and offering a pathway back to the country for some of the Rohingya Muslims forced to flee by army operations. Communal violence has torn through Rakhine state since August 25, leaving hundreds dead and driving more than 410,000 of the Rohingya minority from Myanmar into Bangladesh. According to an Associated Press report, Myanmar leader Suu Kyi also said that most Rohingya Muslim villages were not affected by the violence in Myanmar. 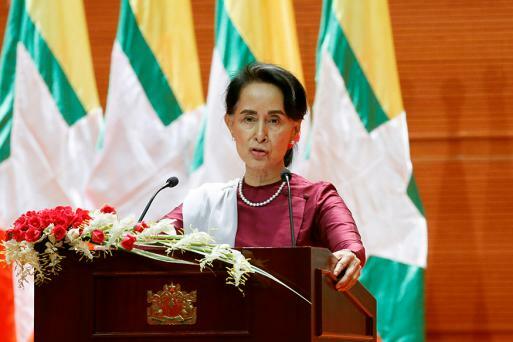 Suu Kyi further said that Myanmar is ready to verify the refugees' status 'at any time'. The Rohingyas were officially recognized as one of the ethnic communities and as citizens of Myanmar by four successive governments since its independence from the British rule in 1948. The 1982 Citizenship Law, however, removed ethnic and citizenship rights of the Rohingyas. In a televised speech on the Rohingya crisis that has sent shockwaves across the world and the United Nations, the Myanmar leader Suu Kyi said she 'feels deeply' for the suffering of 'all people' caught up in conflict scorching through Rakhine State. We are concerned to hear the number of Muslims fleeing areas to Bangladesh, she added. Myanmar leader Suu Kyi on Tuesday broke her silence on the ongoing Rohingya crisis in the Rakhine State and said that the country will investigate the reasons behind Rohingya Muslims fleeing the country. File photo of Darusman President of the Fact-Finding Mission on Myanmar.